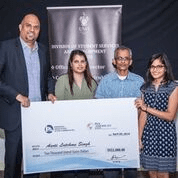 “The unpredictability and uncertainty in life brings with it exhilaration for the future ….” Little did Aarti know that excitement was right around the corner when she received the call about winning the scholarship. From a child, Mathematics intrigued Aarti and that took her throughout her life. It became a part of her to be intrinsic and meticulously plan for every detail of her life. Her passion for Mathematics, has led her to the prospective career path of Actuarial Science. Aarti’s path towards Actuarial Science was not a straightforward path as she pursued a degree in Medicine and Surgery, thereby achieving Bachelors in Medical Sciences. She worked in her community hoping to improve the quality of lives, because many of her neighbours experienced both financial and medical issues. However, after great consideration, she concluded that Medicine was not an ideal career for her. This realization occurred from valuable lessons learnt from interacting with patients in unfortunate circumstances. It showed her how unpredictable life was and having to deal with the financial burdens only exacerbated unfortunate situations. This is when Aarti decided to use her Mathematical ability and her aptness for planning to benefit persons if used in the medical field. 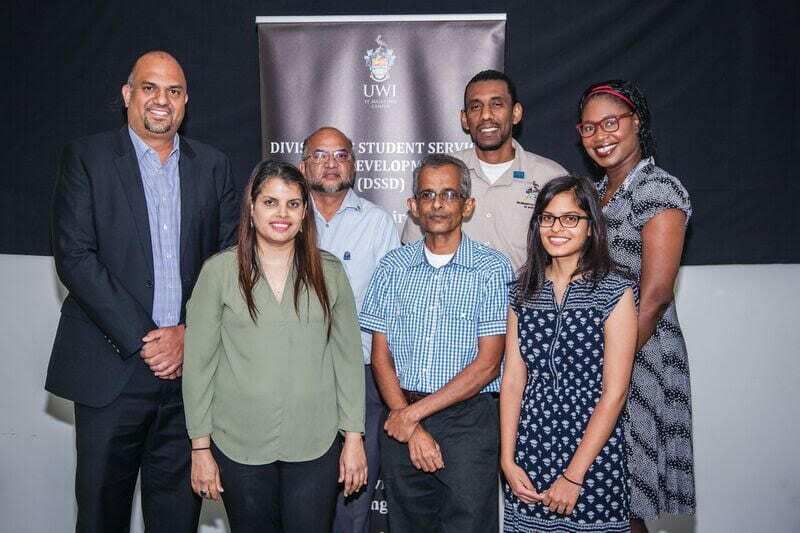 Although health care is free in Trinidad, Aarti’s major concern is that the public hospitals are overcrowded with patients which diminishes the quality of health care each individual receives. Medical supplies are depleted frequently and there are often shortages of medication. This results in persons turning to private health care in hopes of better quality treatment, however, this becomes expensive as most individuals do not have health insurance and are unable to maintain such a financial obligation. Therefore, families have become impoverished if they choose private health care over the care provided at public hospitals. Her aim is to use the knowledge gained from both degrees to create an effective and comprehensive health plan which can be financially attainable to the average citizen. 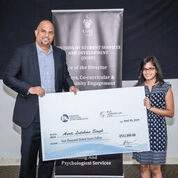 The presentation of the Annual Insurance Scholarship was held at the Conference Room, The Lloyd Braithwaite – Student Administration Building, UWI, St. Augustine on April 5, 2018 and was presented to the ecstatic Ms. Aarti Lutchme Singh by our Director Mr. Anand Pascal. Also present were representatives from the St. Augustine Campus Mrs. Karen Edwards-Sheppard, Administration Assistant, Financial Advisory Services; Mr. Chandar Gupta Supersad, Manager, Financial Advisory Services; Mr. Ian Moreno, Clerical Assistant, Financial Advisory Services; and her parents, Mr. and Mrs. Lutchme Singh. After graduation, Aarti’s aim is to work with an Insurance firm which will help build a strong foundation in the field and using her knowledge acquired to orchestrate her transformation in health insurance. It is her aspiration to become a Fellow of the Society of Actuaries and hopes that in the future she can effectively use this esteemed designation to help other developing countries create an economically viable and thorough health insurance plan making health care more accessible to their citizens.